Platelet-Rich Plasma (PRP) Is a Nonsurgical Treatment Which Stimulates Healing, and at Omega Medical. Call Our Staff Today for More Information at (973) 320-7347 or Book an Appointment Online! How does PRP injection therapy work? The PRP therapy process takes about an hour for most patients, and involves a quick draw of blood, which is then centrifuged to separate plasma and platelets in the blood from the rest. The plasma has a number of growth factors, and is then re-injected back into your tissues, where rejuvenation is needed. The growth factors in the plasma work to build stem cells that create new tissue. Because the therapy uses your own blood, it is safe and effective, and also minimally invasive. What areas of the body can PRP be used on safely? One of the many benefits of PRP is that it can be used on many parts of the body. Some common uses on the face are for frown lines, crow’s feet, acne, and scarring. It can also be used for rosacea, erectile dysfunction, and urinary incontinence. Is the PRP therapy painful? Like any injection, the PRP therapy method may be painful to some patients with sensitive skin. Overall though, few patients report pain or irritation, and it is minimally invasive compared to more complex surgical methods. There is also the option of receiving topical numbing agents in order to reduce pain for those who are sensitive to injections. 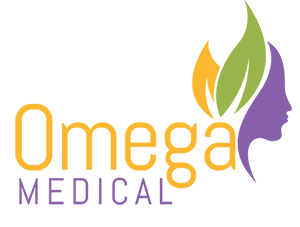 If PRP injection therapy sounds like the right option for you, then make an appointment at Omega Medical today! We look forward to helping you soon.